Australian tin miner Kasbah has announced the completion and results of a definitive feasibility study conducted at the company’s Achmmach tin project in Morocco. Australian tin miner Kasbah Resources (ASX:KAS) has announced the completion and results of a definitive feasibility study conducted at the company’s Achmmach tin project in Morocco. The positive DFS includes a 7 percent increase in ore reserves and a 4 percent increase in contained tin. The company plans to commence construction at the site in 2019, with production following closely behind in 2020. The project includes a proposed underground mine with an initial 10-year life of mine. The projected production at the site is 750,000 tonnes of ore per annum at an average head grade of 0.82 percent tin. “The 2018 DFS follows on from a number of previous studies and whilst it incorporates elements of those studies, our ability to successfully utilize ore sorting and HPGR technology in a new processing flow sheet has delivered a significant positive impact on Project capital and operating costs as well as tin recovery,” Russell Clark, Kasbah’s chief executive said in a press release. “This, in conjunction with a strong prevailing tin price, which is predicted by the International Tin Association to be sustained or improve in the future, has resulted in this very positive DFS outcome,” he added. Kasbah owns 75 percent of the Achmmach tin project located in Morocco, with venture partners Toyota Tsusho (TSE:8015) owning 20 percent and Nittetsu Mining (TSE:1515) owning the remaining 5 percent. Using the data collected in the 2018 study, Kasbah has upgraded the ore reserve estimate to 7 million tonnes at 82 percent, for 58,000 tonnes of contained tin. This new estimate increases the contained tin to 2,000 tonnes from the previous ore reserve reported in 2016. There will also be an on-site processing plant for ore sorting with cutting-edge high pressure grinding rolls (HPGR) technology, to produce approximately 4,500 tonnes of tin per annum at a 60 percent tin concentrate. The financials generated in the DFS are also very promising, noting a post-tax net present value of US$98.1 million with a 23 percent internal rate of return using a US$21,000 per tonne tin price. 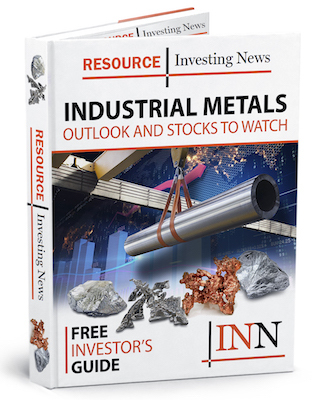 “In addition, the Achmmach tin deposit remains open at depth and along strike, and we see terrific potential for further near mine exploration success to deliver additional resources and ore reserves,” added Clark. Kasbah has been exploring the site since 2008, and has previously commissioned studies in 2014, 2015 and 2016. Kasbah stock remained flat on Monday (July 17), closing at AU$0.014.